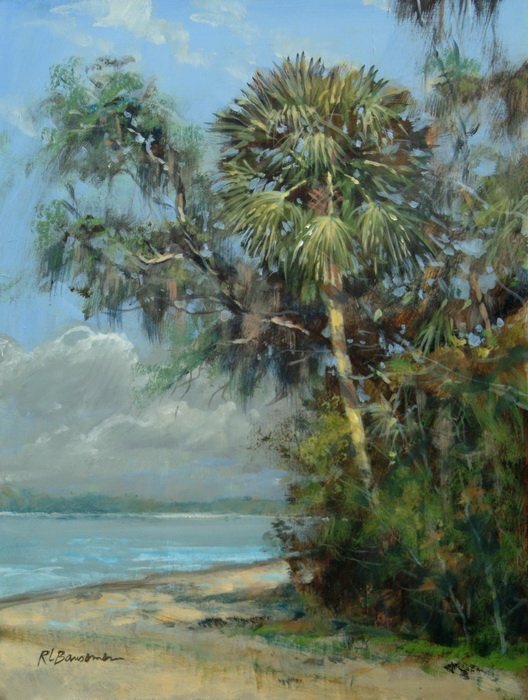 On a warm day when the sun and sand were extremely bright, I did this painting on location at the Washington Oaks State Park near St. Augustine, Florida. It was one of those tough paintings to finish since the light of the sand and sky were so very bright it made it difficult because of the glare especially off the sand. Persistence prevailed and I finished this painting on location. I did manage to get a sunburn in doing so. Acrylic on board / 9x12"